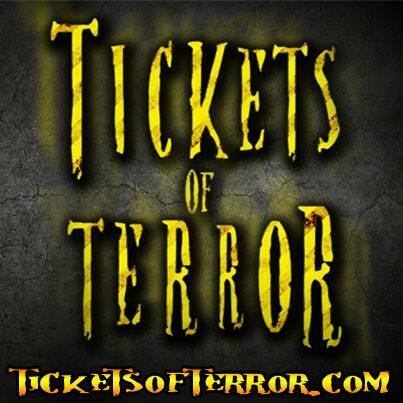 Join Tickets of Terror and become a part of our Haunted Attraction Community! Start promoting your Haunted Attraction with us now! Haunted Attraction Directory for Haunted Houses, Corn Mazes, Woods Walks, Hayrides, Pumpkin Patches, Zombie Paintball, Scream Parks, Haunt Conventions and Escape Rooms. We’re the #1 haunt in America. Featuring a frightening hayride through 45 acres of upstate NY forest & a full night of interactive LIVE entertainment! We're the #1 haunt in America. Featuring a frightening hayride through 45 acres of upstate NY forest & a full night of interactive LIVE entertainment! Netherworld is a self-guided, dark attraction known for its over-the-top special effects, elaborate costumes, one-of-a-kind monsters and chilling detail. Backyard Terrors™ presents The Funhouse! Backyard Terrors specializes in creating anything you can think up! We can make that one special thing you need, or design an entire attraction! The 3 totally separate Haunted Houses make up the Wisconsin Fear Grounds! We strive to bring your Nightmares to life. Come experience Seattle’s Premiere haunted attraction!! Stalker Farms Haunted Attraction is located in Snohomish Washington. OPEN every October! Corn Maze-Paintball-Haunted Houses-Midway! Top Rated Haunted House in the Puget Sound area. 98% of our haunt is indoors. Free Parking, Food and Beverage Vendors on Site. DarkWood Manor is a haunted house attraction located in down town Luray, VA.
After a series of fatal accidents, an old factory in downtown Salt Lake closed its doors forever. Nightmare on 13th is no ordinary haunted house. With over 20 years of experience, the 36,000 square foot house of terror has had time to perfect doing just that. Nashville Nightmare Haunted House is TN’s biggest and best Halloween Destination. South Dakota’s largest budget Haunted attraction. Located in Brookings SD. This Isn’t A Ghost Story…This Is A True Story!!! For 18 years Scream Productions have been bringing nightmares to life. SIX HAUNTED HOUSES, ONE LOCATION, ONE TICKET! The Hex House is Tulsa, Oklahoma’s premier haunted attraction, featuring two extreme haunted attractions in one location: The Hex House and West Side Grim. Your biggest nightmares become a reality in this chilling house of horror. Your mission, should you dare accept it, is to adventure through crime scenes, looking for clues to shed light on the atrocities that the Hayden family committed during their time in Wharton. In a dark desolate house in the woods of Livingston, New Jersey lived a quiet family of four, the Banes. Brighton Asylum is one of America’s Top 4 haunted houses as rated by Huffington Post, Haunted Attraction Magazine, The Today Show, Buzzfeed and others! 2 award winning haunts and one RATED R HAUNT. Humans have been trying to play God for too long, and now the bill has come due. We shoot fluorescent yellow paintballs filled with a serum to kill the zombie virus. No matter where you turn, you can feel the eyes of someone or, something watching you. 4 terrifying attractions: Haunted Trial, Trial of Terror, Hades Hayride, and all new SLAUGHTER FACTORY! If you’re looking for the Ultimate Haunted House experience this October, look no further because Bennett’s Curse is a must see show for your Halloween Entertainment. Night Terrors Haunted Woods Walk is the Seacoast’s Premier Haunted Halloween Attraction ! Haunted Overload is simply one of the most creative and unique haunted attractions in New England. Field of Screams and Clown Town 3D are outdoor haunted attractions. You will walk through buildings and a large sorghum field in groups of 6-8 people. Thrashers House of Terror is a volunteer ran haunted house which is a fundraiser for the Midwest Old Threshers Organization. Haunted House Attraction in the Treasure Valley! This is a multi floor experience. We are a Halloween Community Event. Our main attraction is our two Scare Trails. Legends of Fear at Fairview Tree Farm – Melonhead Revenge Haunted Trail & Haunted Hayrides! City of the Dead is the largest indoor haunted house in Denver, CO. Created by nationally recognized and award winning haunted house designers, the 13th Floor will transport you to new levels of horror. Haunted House of Horror is amoung the largest Alabama Haunted Houses. We are located in Historic Courtland, Alabama. Corn Maze, pumpkin patch, horse drawn wagon and sleigh rides, private group bookings available. Family-run business for more than three generations, serving the southeast Michigan area. 70,000 SQ Feet Of In Your Face Terror. Over 5000 SQ Ft Indoor & Interactive Waiting Area. Crane Orchards offers a 20 acre daytime corn maze. We are Midland, Michigans premiere live-action escape room experience! Haunted Corn Maze and Haunted House Open Friday and Saturday ALL of October. Also open the last Thursday of October. KneeKnocker Woods is an outdoor Halloween Experience featuring an unsettling stroll through Grandpa Grimm’s creepy woods. The Haunted Corn Maze is a place for kids and adults of all ages! he perfect outdoor challenge for your mind, that also allows you to stretch your legs as you tour Vermont’s Northeast Kingdom. 7 Floors Of Hell – Cleveland’s Largest & Scariest Haunted Scream Park. 7 Haunted Houses at one location! 7 Floors Of Hell - Cleveland's Largest & Scariest Haunted Scream Park. 7 Haunted Houses at one location! Shadow Hollow Haunt is a one-of-a-kind Haunted Trail at Stokes Homestead Farm Market. It’s a must-do for your haunted experiences in October! Shadow Hollow Haunt is a one-of-a-kind Haunted Trail at Stokes Homestead Farm Market. It's a must-do for your haunted experiences in October! The Haunted Hallow is not your regular scare. Get lost in BESTMAZE – the one you’ve heard about! The premier maze in Michigan for 16 years. No pets. Cash only. Free onsite parking with security. Mid Michigan’s number one haunt is back with a vengeance! Located downtown Saginaw just blocks from the Dow. Mid Michigan's number one haunt is back with a vengeance! Located downtown Saginaw just blocks from the Dow. There is a new face of fear in Michigan. It’s the Awaken Haunted Attraction in Leslie. 13,000 sqft of terror…bring a friend, you’ll need one. There is a new face of fear in Michigan. It’s the Awaken Haunted Attraction in Leslie. 13,000 sqft of terror ...bring a friend, you'll need one. One of Michigan’s best professional haunted house attractions! One of Michigan's best professional haunted house attractions! Located at Playland Park. One of the scariest haunted houses in Michigan! Voted “Best Haunted Attraction” in Gennesee county 2013, 2014, 2015 & Now!! Voted "Best Haunted Attraction" in Gennesee county 2013, 2014, 2015 & Now!! Voted the #1 haunt in the country and has been featured on the Travel Channel. Scariest hayride on the east coast! We’ve been consistently ranked one of the top attractions in America by http://CNN.com & USA Today. Voted the #1 haunt in the country and has been featured on the Travel Channel. Spooky World presents Nightmare New England and the Haunted Hayride, is New England’s largest most terrifying haunted attraction destination. Spooky World presents Nightmare New England and the Haunted Hayride, is New England's largest most terrifying haunted attraction destination. The Haunted Trail of Balboa Park-open since 2000-is the second haunt in the Haunted Hotel industry. The Haunted Hotel is San Diego’s Premier Haunted Attraction. The Haunted Hotel is San Diego's Premier Haunted Attraction. The Scream Zone at the Del Mar SCAREgrounds will scare the YELL out of you! Voted one of the Best Haunted Houses in America and Winner of Guinness World Record for the World’s Longest Walk through Horror House. Voted one of the Best Haunted Houses in America and Winner of Guinness World Record for the World's Longest Walk through Horror House. Cincinnati’s Scariest Haunted House! The Dent Schoolhouse! Cincinnati's Scariest Haunted House! The Dent Schoolhouse! The 13th Gate (in Baton Rouge, LA) is considered one of the top Haunted Attractions in the USA. Experience the truth about the legend of the 13th Floor at a haunted house created from your darkest nightmares. Slater Park Haunted Tunnel has become an anticipated destination on the Halloween haunt list!!! The biggest haunted attraction in Southwest Michigan! What is Tickets of Terror, why should i join, what are the benefits? Here are some frequently asked questions that we are asked all the time. What is Tickets of Terror? Tickets of Terror has a multi category and location map search. Each profile gets a Map Header, Image Gallory, Ticket Link or Embedded Tickets, About Section, Facebook & Twitter Widgets, 2017 Calendar Options, Videos, General Attraction Rules, Reviews, Phone, Email, Web Links and Hours of Operation. How do I activate my FREE Listing? To activate your FREE Listing, you must add one of our Tickets of Terror Banners to your Website. What do the Different Listings Look Like?